All my favourite hawker's food. There is one rojak with thick and sticky sauce which my nephew will get for me when I am in Penang. I want my chee cheong fan! lols! tempted. if only the wkend crowd not that daunting. Btw, love reading your blog as you give me a very warm feeling as you guys are such a happy family! all my fave food are here-the CCF stands out! They are all very interesting to me and I wanna try all of them! yes, all Penang nice food....new world park ambiance is good...comparatively not as hot ....nice place for Penang hawker food!!! Try the chee cheong fun at island glades, its the best for me. It has peanut butter flava to it. Long queue for the CKT? 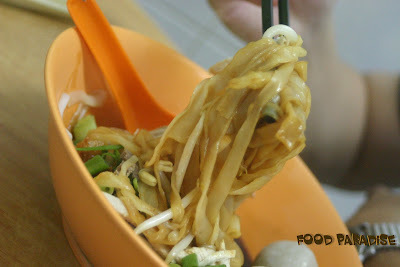 Have u tried the char hor fun? I heard it is not bad. Love all the Penang hawker food. So much food to eat, and my favourite is the char kway teow. really many foods leh. Usually the time that I order so many food is when my sister is coming back from Sarawak, else is the time to go out with oversea clients. new world park hawker stall will not come to my mind if i am looking for good food. hahaha. anyway, i think got some stall is selling nice food (should have right? ), just that i never tried. Food For Tot's - Really? Will try that next time. Thanks for sharing!